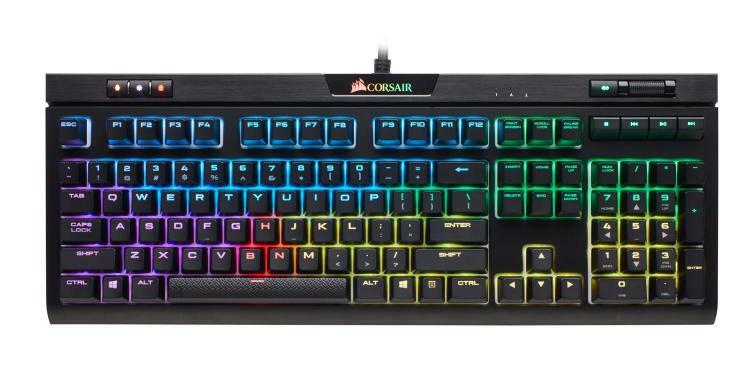 CORSAIR presents the new CORSAIR K70 RGB MK.2 and STRAFE RGB MK.2 mechanical gaming keyboards featuring 100% high-quality Cherry MX mechanical switches and now available in a wider variety of switch type including Cherry MX Red, Cherry MX Brown, Cherry MX Blue, Rapidfire MX Speed and Rapidfire MX Silent keyswitches. The CORSAIR K70 RGB MK.2 still sports the award-winning features of the K70 such as the durable aluminium construction and vibrant RGB lighting powered by the CORSAIR iCUE software. Now offered in a wider variety of keyswitches to fit every type of gamer and enthusiast. The K70 RGB MK.2 is available in Cherry MX Red that offers linear movement, tactile Cherry MX Brown switches, clicky Cherry MX Blue, smooth and fast Cherry MX Speed and low-noise Cherry MX Silent. 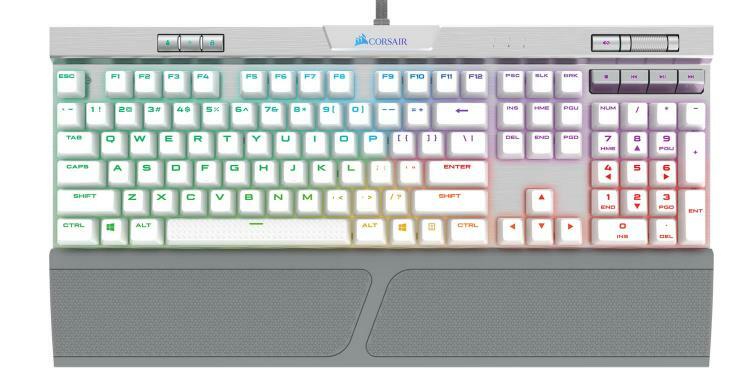 CORSAIR also introduces the K70 RGB MK.2 SE that features a silver anodized aluminium frame with white precision-molded double-shot keycaps. The new CORSAIR STRAFE RGB MK.2 is available in Cherry MX Red and Cherry MX Silent switches only. 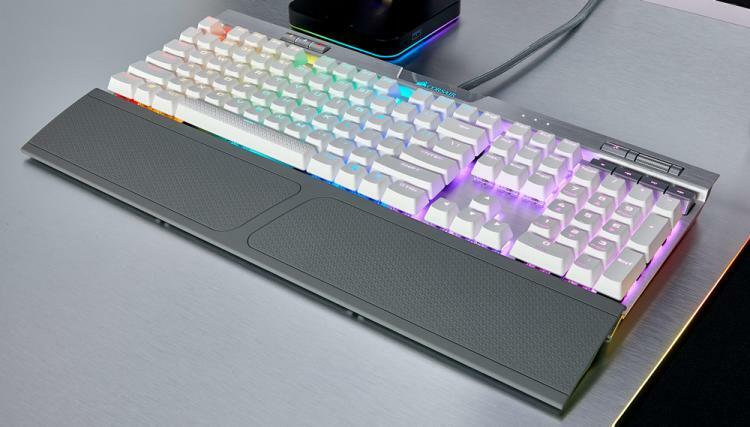 It targets gamers that prefer a low-noise mechanical keyboard that’s also perfect for swift keystrokes. The STRAFE RGB MK.2 sports vivid per-key RGB backlighting and also powered by the CORSAIR iCUE software. 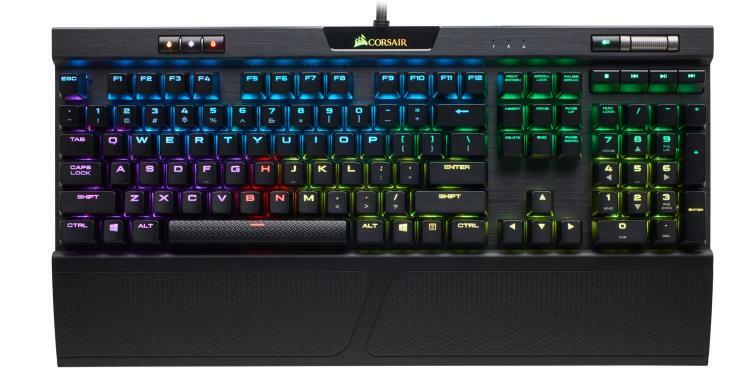 The new CORSAIR K70 RGB MK.2 mechanical gaming keyboards start at £149.99, £169.99 for the CORSAIR K70 RGB MK.2 SE at Scan. The new CORSAIR STRAFE RGB MK.2 is now available for £149.99 at Scan.